Built in 1897, Lippitt Hall is one of the oldest buildings on URI’s Kingston campus and occupies a prominent position on the Olmstead designed Quadrangle. 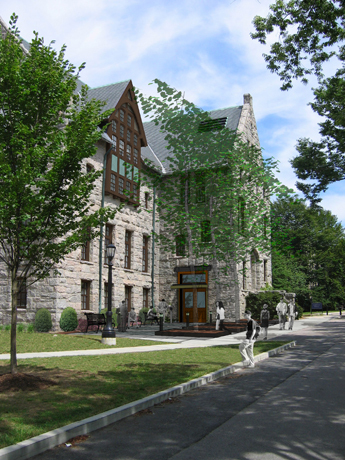 Originally designed by noted firm Stone Carpenter & Willson, it was constructed as an academic building and drill hall. Additions, renovations, and deferred maintenance over the years had compromised its grandeur and by 2004 it was dire condition. KITE was selected as the architects for the complete interior and exterior overhaul based on their ability to creatively add new life to historic structures and technical expertise while respecting the public institution’s tight budget. 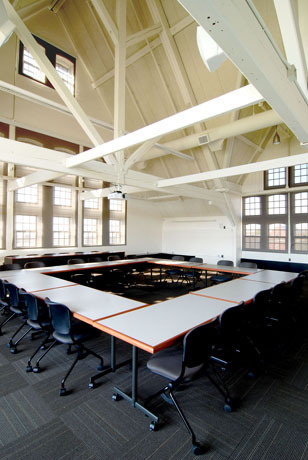 Involving a complete reimagining and renovation of the interior for academic programs, new spaces reveal the original timber structure and dramatic oriel windows. 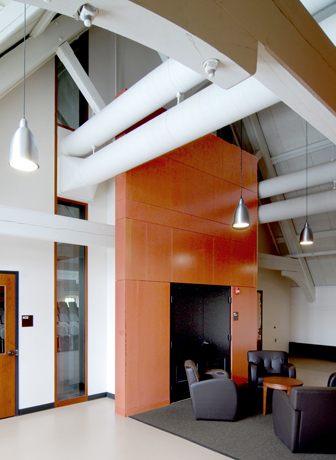 The building is the new home of the Department of Mathematics and the Honors Program, providing 36 faculty offices, 18 graduate student offices, and a variety of technology classrooms and collaborative learning spaces. 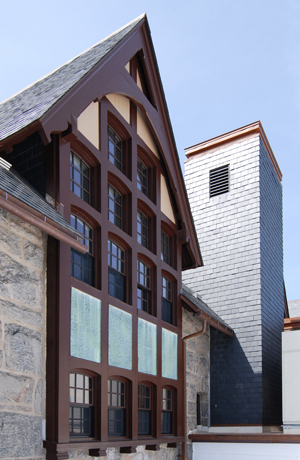 The historic exterior has been restored using the highest standards, including thermally improved windows, complete replacement of the slate roof, and rehabilitation of the stone and wood wall materials and copper accents. 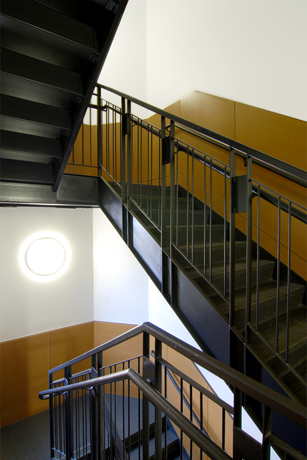 A new stair tower was added discreetly to the north to comply with modern codes, and a new elevator inserted into the center. Improvements inside completely reconstructed the interior and re-introduced the delight of the original multi-story drill hall volume and exposed structure, as well as make the building accessible, address code deficiencies, and improve user comfort by replacing existing heating and cooling systems. 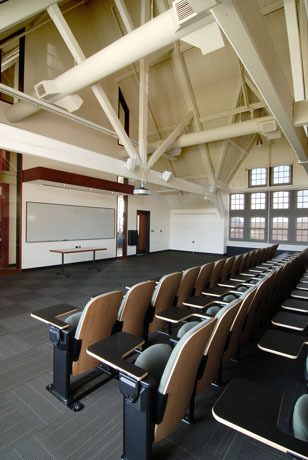 The 35,720 sf renovation was completed in 2009 with a construction cost of $8 million.